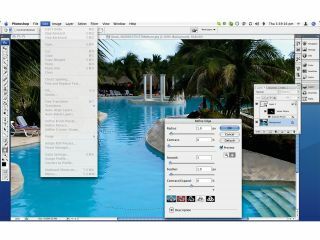 Adobe hasn't confirmed whether Photoshop will or won't be included in CS3. However it is very likely. Adobe is to officially unveil its Creative Suite 3 on Tuesday 27 March at a special event in New York. The company says the launch will be the biggest in its 25-year history. Besides new functions in Creative Suite 3, it's also anticipated that the program will be optimised for Intel-based Apple Macs. Specific features and applications included in the new software haven't been disclosed, although a new version of Adobe InDesign is said to be part of the suite. The current version of the suite ( CS2 ) includes Adobe Photoshop, Adobe Illustrator, Adobe InDesign, Adobe Acrobat, Adobe Bridge and Adobe Stock Photos apps among others. Creative Suite 3 will also incorporate various technologies and software applications brought in when Adobe bought Macromedia in 2005. Dreamweaver CS3 is expected to replace GoLive as the featured web authoring application, whilst Fireworks CS3 is likely to replace Adobe's Image Ready software. The March 27th event is expected to kick off at 8.30pm UK time. A live webcast from the event will be available from Adobe's website. To create a buzz around the Creative Suite 3 launch, Adobe has posted a viral video on YouTube and created the What is in the box? website. Last week, Adobe announced plans to offer a lower-end version of Photoshop free online. The Creative Suite 3 software will begin shipping this spring, an Adobe spokeswoman confirmed.